19. 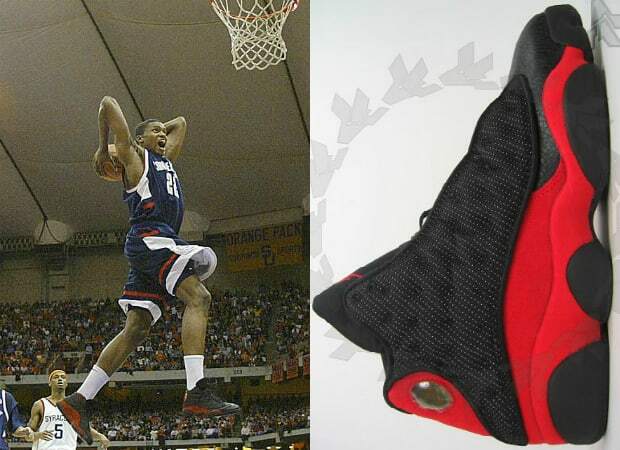 Air Jordan XIII "Black/True Red"
Back when Jordan Brand hooked up the 3M on the XIIIs, Rudy Gay picked up the December 2004 release and made a few posters in the process. The Black Cat inspiration from the hologram eye and bulky midsole resembling a claw still reign as one of the most unique concepts in a long line of Tinker Hatfield classics.